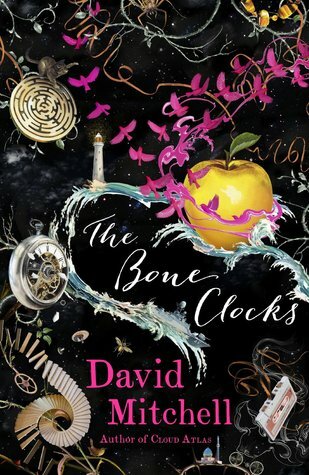 In The Bone Clocks six narratives, with a vast range of characters and themes, are interwoven and drawn together through the compelling central character of Holly Sykes, who we first meet as a rebellious teenager, and follow throughout her life, either directly other through other characters who know Holly in some way. The everyday and the fantastical blend together because Holly is special, and has captured the attention of both the Anchorites and the Horologists, two groups of immortals who are waging an age-old war against each other, drawing in directly and indirectly the everyday folk who surround Holly, and ultimately involving Holly herself. 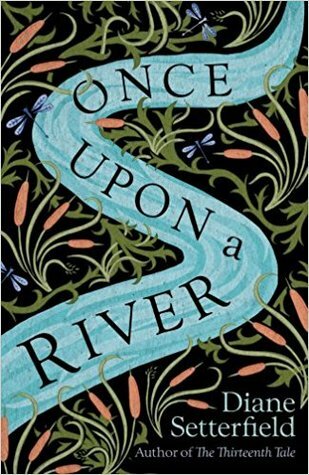 I really enjoyed the everyday stories, and became engrossed in the lives of the characters, some more so than others, and I liked the continued return to the fantasy element, which often gave a tantalising glimpse of something otherworldly without fully revealing what was going on and what Holly and her acquaintances were unwittingly part of. I loved the fantasy elements so much that I wanted more of them, earlier on. Each section of the novel is well written, and I especially enjoyed Ed’s time as a reporter in Iraq, which was an intense read, and the fifth story, where we finally see the Horologists and the Anchorites do battle once and for all. I liked the links with earlier stories towards the end of that tale. The fourth narrative, featuring Crispin Hershey was perhaps the section I enjoyed least out of the six. It seemed a little overly long at first, but in the final third it became great reading. I particularly liked the reappearance of a certain character at that point, but I won’t say more for fear of spoiling you. I enjoyed the way each story delved into the lives of these characters only to leave at a certain point, then in the following narrative it usually became apparent what had happened to that character, which in at least one instance was really sad. This is the first novel by David Mitchell that I’ve read, although I have seen and loved the movie version of Cloud Atlas, so I think there were subtle details that were probably lost on me, as other reviews mention that characters from his other works also feature in this book. I don’t think that detracted from the story for me, but maybe it would have added a little something extra. I would definitely read other works by this author, so maybe this is one for me to revisit in the future, when I’ve read some more of his books.